The class of 2018 in the garden of Hughes House, a local sheltered housing block where we perform for the residents every year. At the back, from left to right, are Nuno the percussion tutor, David the instrumental tutor, and Kate the singing tutor. This year’s project will be all about Trees. 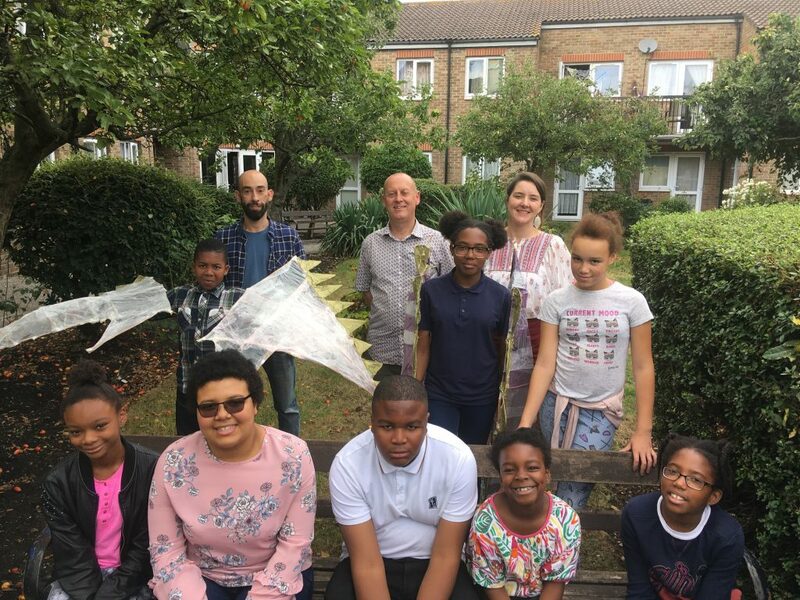 Established in 2012 by musician and educator David Powell, Newington Arts and Music Summer Programme (NAM) is an annual two-week educational programme for children in Southwark aged 6-16 years, with experience or interest in music and art. 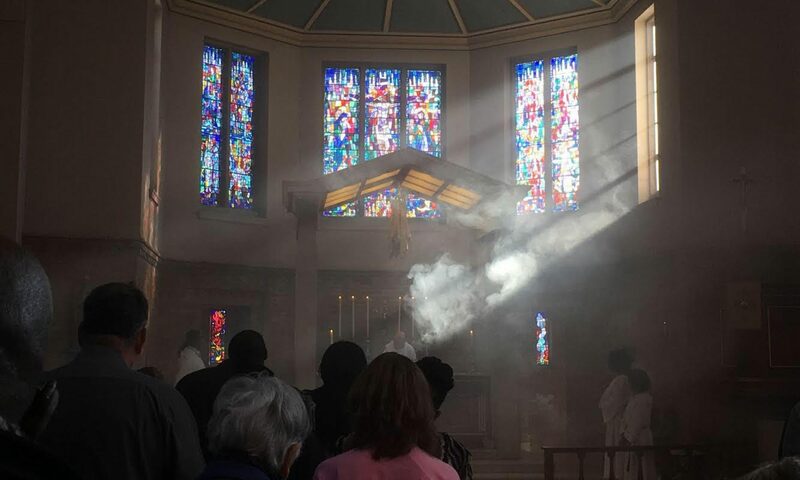 It is held at St Mary Newington Church, Kennington, with end of week performances both in the church and for the residents of nearby Hughes House sheltered housing block. 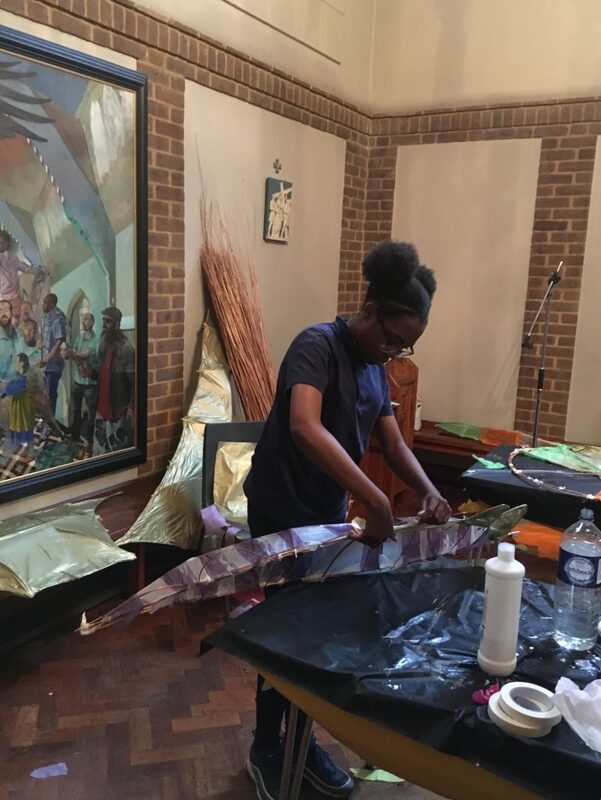 The programme provides up to 15 subsidised placements for children currently taking instrumental lessons, who have experience in playing a musical instrument or singing, or who have a strong interest in art or drama. 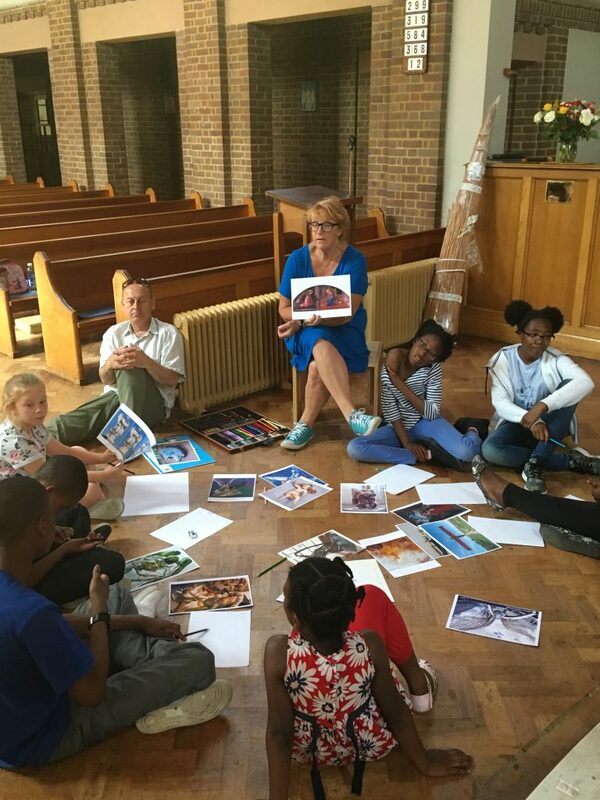 It aims to provide continued arts engagement for children over the summer period, encourage children to try new art forms and engage in new music styles, develop social skills by making new friends, performing and engaging in the wider community, all within a supported fun environment. 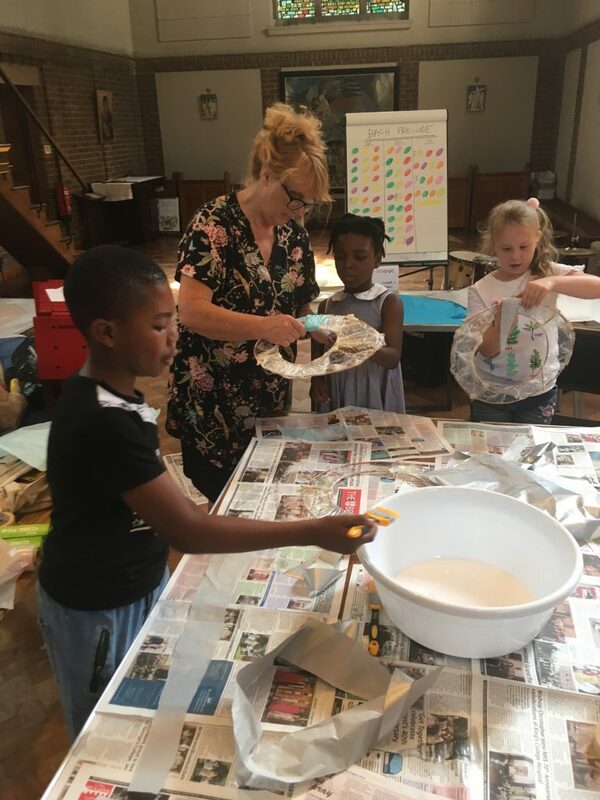 A trip to the National Gallery is planned for 2019, and the children benefit from recreational trips to the local bowling alley, with pizza in the park. 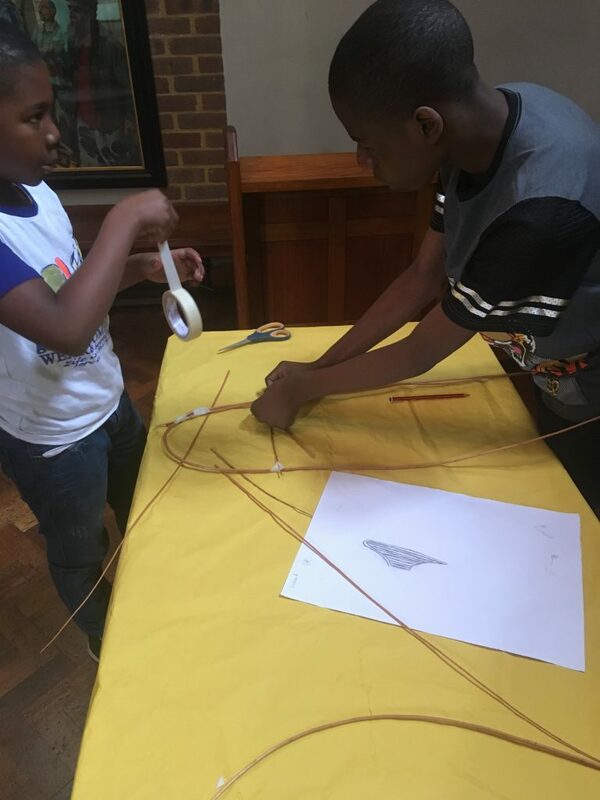 The programme has been consistently supported by St Mary Newington Parochial Foundation, the Marshall Foundation, Golsoncott Foundation and St Olave’s Foundation. 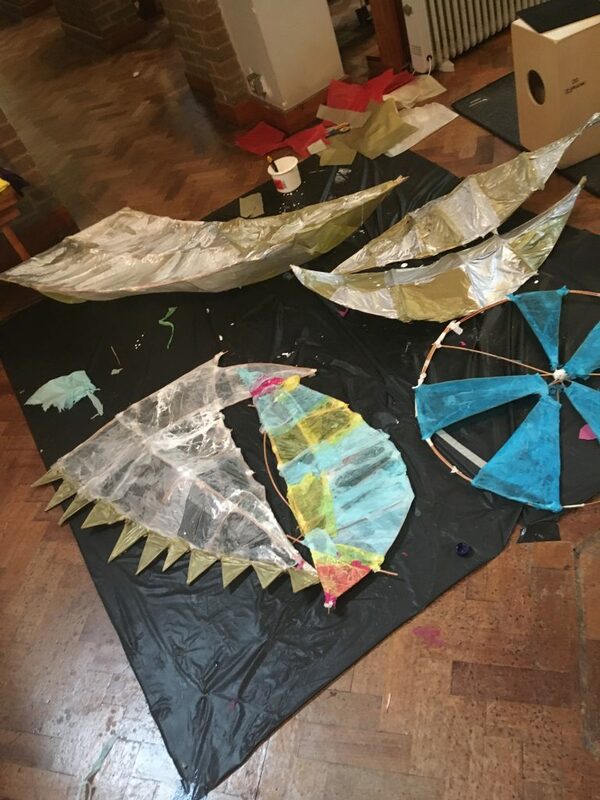 The education team is compiled of professional musicians and artists, with established skills in workshop leading, supported by a pastoral assistant and volunteers, and led by David Powell and Kate Hayes. During the course of the programme, the children engage in music-making with voice, percussion and instruments, drama games, rehearsals, crafting, drawing etc. culminating in performances and artistic presentations, based on a central theme. Previous years have seen dramatised versions of the Creation: Noah’s Ark and the Parables; and in 2018, an art installation of angel sculptures made from willow and tissue paper. 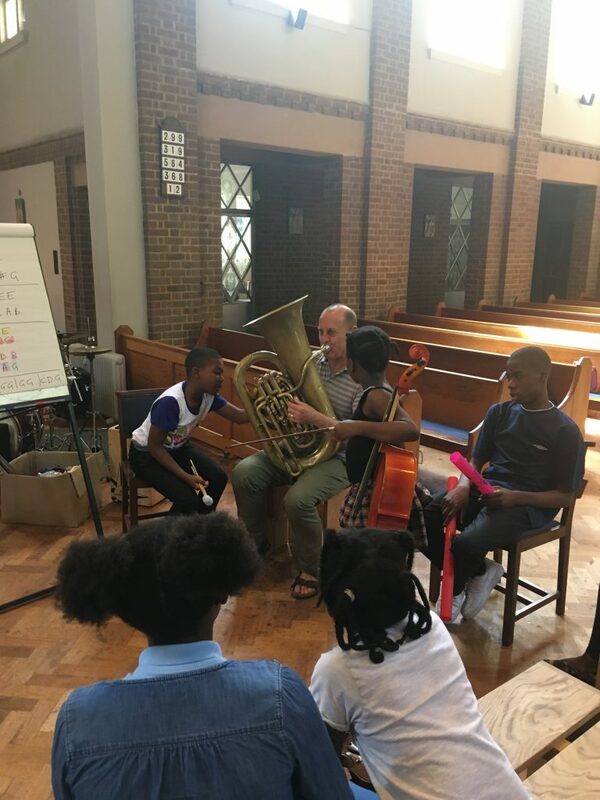 The children learn new songs and music pieces, ranging from classical repertoire such as Bach, to world music such as Abdullah Ibrahim, and pop and musical theatre songs. They are supported to try new musical instruments provided by the programme such as piano, ukulele, recorder, drum kit and boomwhackers. Each year, they work with an invited artist to create an sculpture inspired by the central theme. 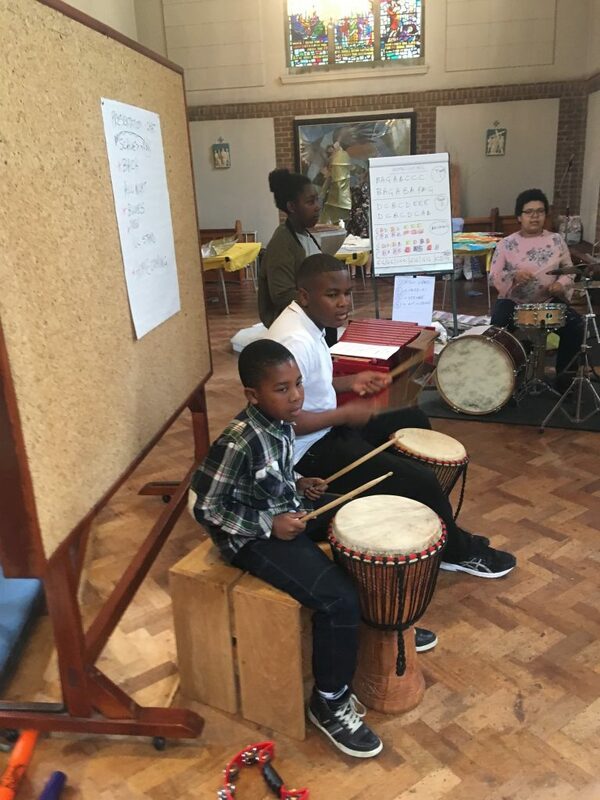 They receive percussion sessions in African drumming and samba and are encouraged to create their own scripts and music compositions, collaborating with each other to present a final presentation of the work. The topic for NAM 2019 will be “Trees”. 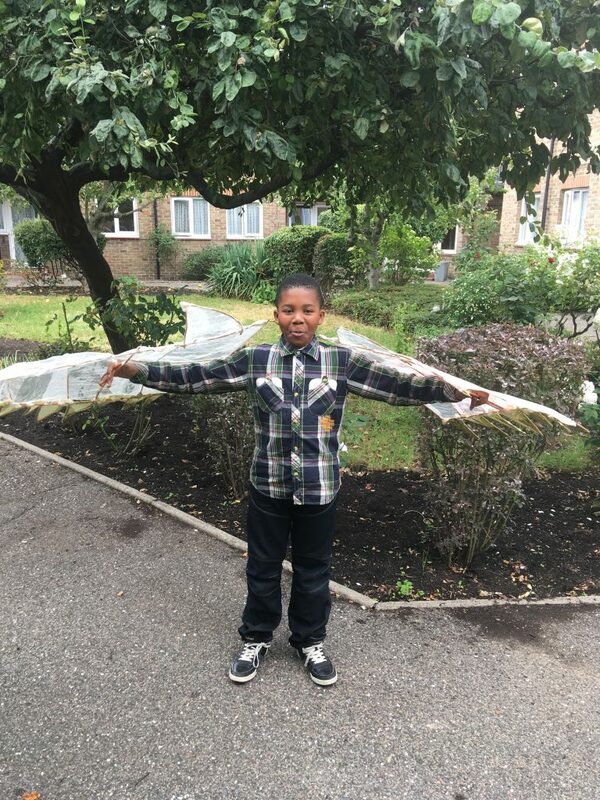 Over the six years, it has welcomed new and returning children from the Borough of Southwark and nearby Lambeth. 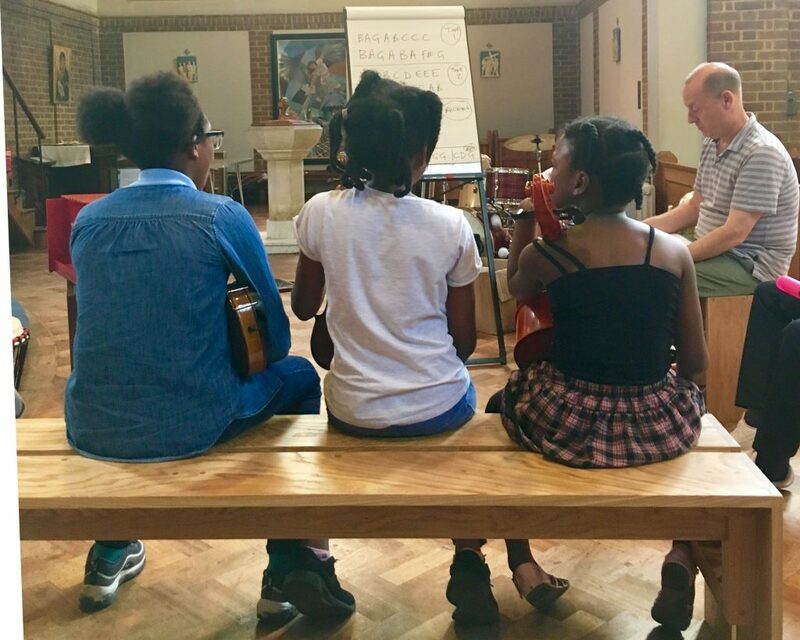 The children have commented that the programme has helped them to feel more confident, try new things and develop more musical and artistic skills. They enjoyed spending time with their friends as well as making new ones. 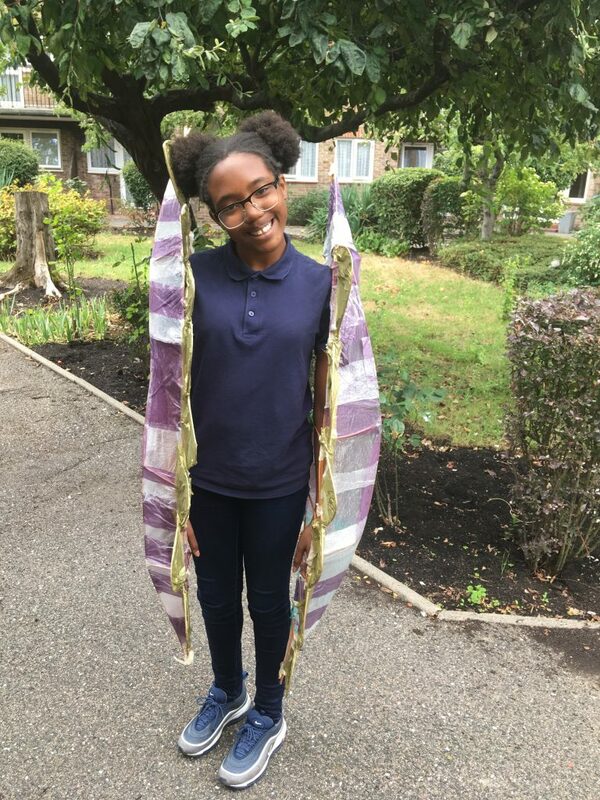 It is supported by Southwark Music Service who publicise the programme through its social media and website, and through its Saturday Music School’s newsletter. Publicity also goes to local schools, churches and social media. 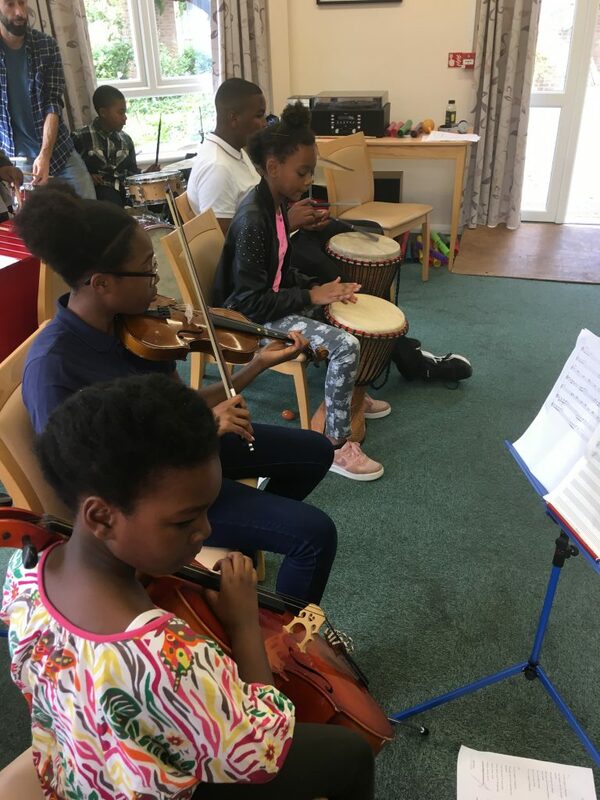 NAM’s music tutors are employees of Southwark Music service with strong experience in leading inspirational educational work and a knowledge of the social and economic challenges within the borough. 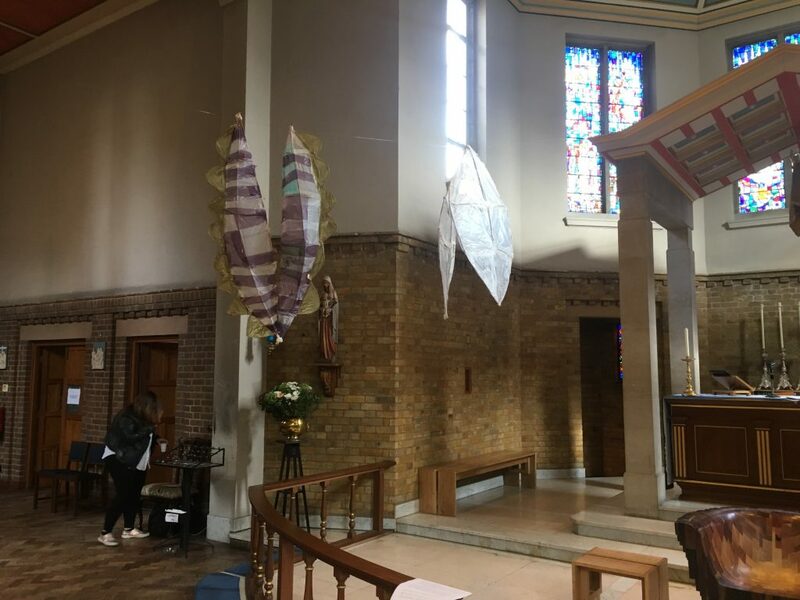 St Mary Newington supports the programme by providing a workspace for the entire programme and a play area for children, a performance opportunity after their Sunday service, a display area for the arts produced and by promoting the programme to its congregation. Concept and design for our angel wings. Art tutor Al Johnson brought in many images from other artists to study. Willow is very bendy and useful for making strong frames. Performing to a small, but very appreciative audience at Hughes House. 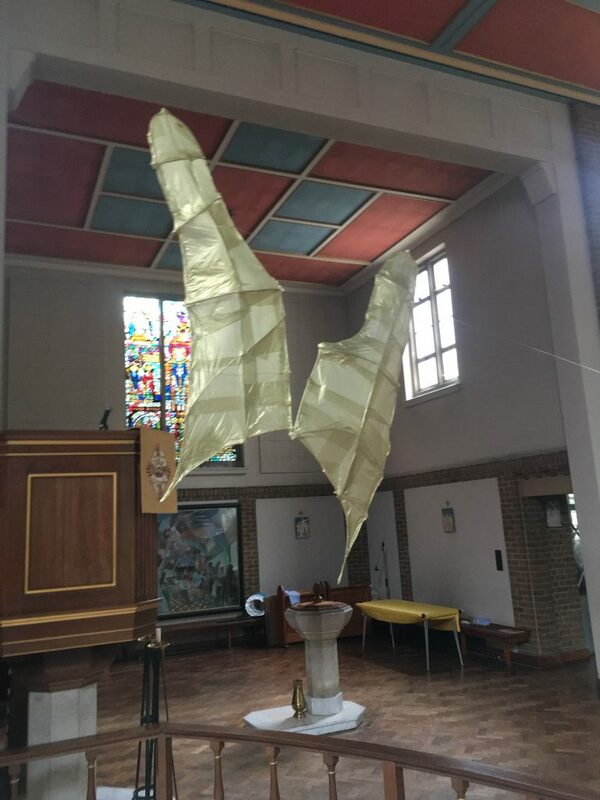 Angel wings on display in church.